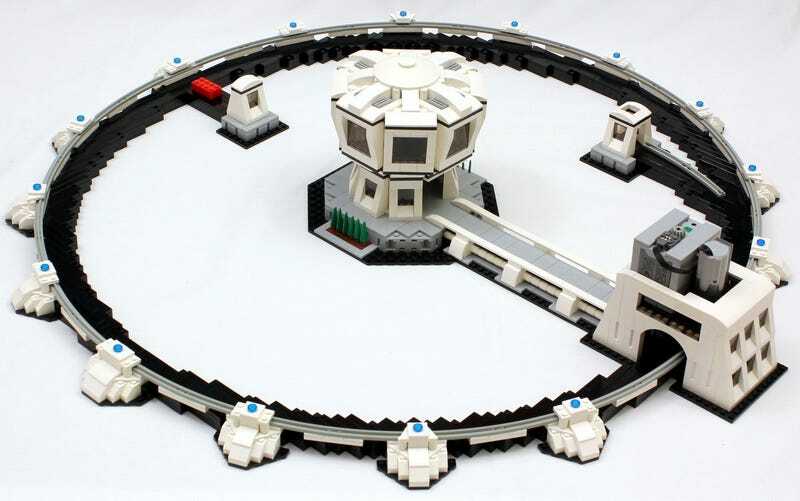 They missed an opportunity with a joke about the MiniFigs Boson, but this Lego Particle Accelerator made by JK Brickworks actually accelerates an orange Lego soccer ball to an impressive 12.5 kph. Check out the details on Jason's Blog and I highly recommend watching the video. An image of the acceleration mechanism.